China also has an underclass with limited access to good schools. See this article in the NYTimes, China Takes Aim at Rural Influx. This is interesting because it's a tutoring situation -- one-on-one with a bright little girl. But it's still all about memorization, instead of understanding why multiplying with negative numbers must work the way it does. The rules of mathematics are not arbitrary. There's some useful explanations of multiplying with negative numbers at Ask Dr. Math. By now, you'll be ready to join the Atheist Tabernacle Choir! A recent New York Times article, How to Fix Our Math Education, proposes that we should make math teaching less abstract and more relevant to real-world applications. The truth is that daily life is dull and boring. That's why we need an interior life. That's why we read books and do puzzles and watch movies and listen to music and write blogs. Abstract math is beautiful and enjoyable because it is consistent, logical, and clean; in other words, totally unlike the real world. 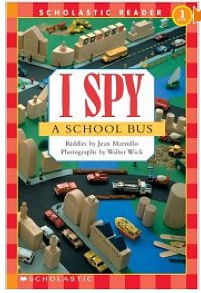 I am happy to report that Younger Daughter read no less than 2 I Spy books this morning. She's getting much better about looking at all the letters, too. I spy two words that start with the letters GL. It turned out that she thought "boxing glove" was one word, beginning with the letter "b". Me: "Words are separated by spaces. Every time you see a space, that means a new word is about to begin." Younger Daughter: "Really? Nobody ever explained that to me before." Sigh. Anyway, she's making progress, and I plan to keep cranking. I hope she can start the upcoming school year with a bang instead of a whimper. One of our ongoing problems in teaching Younger Daughter to read is that we must first unteach the bad habits her teachers got her into. The worst of these is a strategy that she was actually taught at school: read the first letter of the word, then look at the picture, then take a guess as to what the word might be. We are striving with her to get out of the guessing habit, and instead to sound out ALL the letters of the word. Sainted Husband: No guessing! That's not what reading is! Younger Daughter: But that's what the teacher said. Sainted Husband: They taught you wrong. 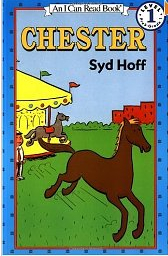 This morning I was working with Younger Daughter, reading Chester, by Syd Hoff. She was doing pretty well, with coaching. 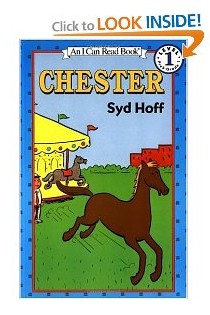 She read the title character's name, "Chester", correctly several times, until she suddenly read it as "chicken". Why? There was a chicken in the illustration. She was reading the first letter, looking at the picture, and guessing, just as she was taught at school. Ugh. We're having a Harry Potter moment at our house. Younger Daughter has been watching the movies obsessively, and Sainted Husband read books 1 and 2 out loud to the whole family. Older Daughter has been plowing through the books. Book 1, Harry Potter and the Sorcerer's Stone, is charming and fun. It deserved to be a best seller. Rowling's strengths are her sense of humor and perfectly realized wizarding world. The book isn't especially original -- it's clearly in the tradition of British boarding-school stories -- but it was well done. Book 2 was also quite good, but starting with Book 3 it all started to go downhill. Rowling's weakness is that she's basically very conventional. She's accepting of all kinds of stereotypes that I would like to see her overcome. Would it have killed her to make the lead character a girl, for instance? Did she really have to make the Dursleys so loathsome? I was worried about my adopted daughter being exposed to these images of abusive adoptive parents. I wish Rowling would ditch the weight stereotypes -- fat people are self-indulgent and lazy (the Dursleys), and skinny people are active and good (Harry). There were times in some of the later books where the story gets completely bogged down in the adventures of Harry's parents' generation. Hint to Rowling -- that could be a separate series. In the later books, Rowling attempts to get deep by killing off her characters. It doesn't work. Also, she deals with Harry's adolescence by making him angry all the time. The books are a lot less fun as a result. By Book 7, it was all out of control. Get that writer an editor STAT! Book 7 could be cut to 1/3 of its present length, and be a much better book for it. The question everyone was asking before Book 7 was published was -- will Harry live or die? Rowling had him do both! Please, just make a decision. Also, I found the coda, which describes Harry and Ron putting their own children on the train to Hogwarts, unbearably banal and suburban. 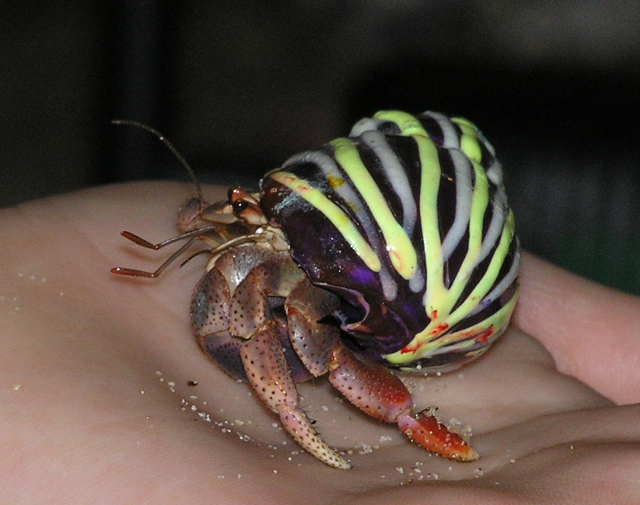 Couldn't they be out chasing dragons or something? I don't know about you, but I'm ready for some light relief. How about Vikings vs. Saxons? And now, let's sing "Jerusalem" with Maggie Thatcher and the Tories! When I was a kid some relative gave me a copy of How Green was My Valley by Richard Llewellyn. I liked it so much I read it in one long sitting. Did I truly comprehend it? Not a chance. I had never heard of Wales and I knew nothing about coal mining. As far as I was concerned the story could have been about plutonium mining on Mars. I read the entire book thinking the main character was named "Huh-wa", and his friend was "Mr. Gruff-id": I finally reached the last page, "How to pronounce Welsh names", and discovered the book was about a boy named Hugh and his friend Mr. Griffith (with a soft "th"). My grandmother had many cartoon books; at her house I was introduced to the great work of Charles Addams. She also had several Andy Capp books, which I read over and over with great interest but little comprehension. What was this world, where people used strange vocabulary like "owt", "nowt", and "summat", where the husband rolled home from the pub at 2 a.m. while the wife waited behind the door wearing a nightie, curlers, and big fluffy slippers, with an upraised rolling pin in her hand? It was a mystery to me but I kept on reading, hoping I could find the clue. We all bring varying levels of comprehension and appreciation at different points in our lives. And so what? Anything worth reading is worth being confused by. The current hyperventilating about "comprehension" is one more way that we make reading a dreary chore. Kids don't need to comprehend everything all the time, and they especially don't need to prove their comprehension all the time. Let them be. Overachiever's footnote: "owt", "nowt", and "summat" are examples of Yorkshire dialect. "Owt" = "anything"; "nowt" = "nothing"; "summat" = "something". Oh, isn't that cute (barf.) What is wrong with this guy? Actually, he negotiates with Michelle more effectively than he does with the Republicans. What a slap in the face to the millions of women out there who are facing much bigger problems than how many shoes to buy. How about the many women who are the sole breadwinner for their families? Capstone experiences are being planned for each grade. We had great success in the intermediate school (fifth and sixth grades) with this year's simulated mission to Mars. We anticipate deploying simulations as key aspects of the social studies curricula of seventh and eighth grades as well. For example, preliminary conversations are under way pertaining to a study of medicine in which an Emergency Room simulation is the featured context within which students utilize what they have learned as they play the roles of doctors, patients, first responders, nurses, and hospital administrators. We have a contact at Local Hospital who has invited us to use the simulator there. Medicine may then be used as a lens through which to examine the history of ancient China. I had high hopes for Teacher Cranium at this time last year. He was hired because of his rep for progressive education. I want to like progressive ed. I really do. I want my kids to have actual experiences besides schoolwork. I want them to grow as complete human beings. I want them to enjoy learning. These are all ideals that I share with progressive ed. I have nothing against the mission to Mars project, or the mock economy that was created for the second grade. A visit to an emergency room simulator could be interesting for the kids, although how it relates to ancient China is a mystery to me. But but but ... at the same time, there are basic skills that I want my kids to master. They need to be able to read fluently and type accurately (a goal we still have not reached with Older Daughter.) They need to know at least enough math that they will be able to handle their finances intelligently and make some sense of the statistics and economic theories they will encounter. I would love for them to have working knowledge of a second language, and perhaps be able to play an instrument or compete in a sport. If the projects at Natural Friends were happening in addition to a solid curriculum that dependably taught kids their basic skills, it would be a wonderful school. (It still might not be the right place for Younger Daughter, but that's a different issue.) But in practice, the school uses lousy curricula like Reading Workshop and Trailblazers Math, because these have been sold as "progressive". The problem with "progressive" curricula is that they teach appreciation instead of skills. There's nothing wrong with appreciation; courses in music and art appreciation can be interesting and valuable. But you can't staff an orchestra with graduates of music appreciation, and you wouldn't want to have your portrait painted by someone who had only looked at art, no matter how knowledgeable they might be. Orchestras must be staffed with people who can read music and play instruments, and portraits are painted by people who can draw the figure. These are skills that take years of study to acquire. Similarly, there's nothing wrong with doing logic puzzles with kids. But it's not the same as teaching math skills. There's nothing wrong with using a pie chart to demonstrate why 1/2 + 1/4 = 3/4. But if you don't go on to teach the algorithm, you'll wind up with a kid who can only add fractions if the denominators are friendly enough to produce an easy pie chart. 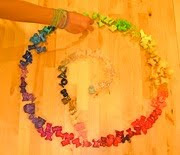 My dream school would teach basic skills in the most effective and painless way possible for a few hours each day, and then do interesting projects and activities for the rest of the day. Where is that school, besides my fevered imagination? Some time ago I wrote a post called Reading without Comprehending? in which I expressed my skepticism that schools are overrun with kids who can read fluently but don't "comprehend" what they read. Lo and behold, I just found a post with a very similar sentiment on kitchen table math: palisadesk on the Great Decoders. I'm not alone! Yesterday I had lunch with HomeworkBlues. HWB attended the Save Our Schools March and is planning to write a post about it (exclusive to Kid-Friendly Schools!). The Save Our Schools March was organized by teachers, and it was mostly representing the teacher's point of view, which doesn't always coincide with the parent's point of view. While we're on the teacher's point of view, there's been news from several teacher bloggers. Peter Gwynn of Mr. Teachbad was fired. James Boutin of An Urban Teacher's Education quit his teaching job and hasn't yet landed a new one. Jason Robillard of Teaching: Let's Roll Up Our Sleeves has, along with his wife, decided to leave teaching. I'm reading Lost at School, by Ross W. Greene. "Kids Do Well If They Can" is a basic principle set forth in this book. I agree with it. Greene contrasts it to the much more prevalent "Kids Do Well If They Want To" belief which underlies most people's approach to discipline. When the "kids do well if they want to" philosophy is applied to a child who's not doing well, then we believe that the reason he's not doing well is because he doesn't want to. This very common assumption is usually wrong and causes adults to believe that their primary role in the life of a challenging kid (and the goal of intervention) is to make the kid want to do well. This is typically accomplished by motivating the kid, by giving him the incentive to do well, by rewarding him when he behaves in an adaptive fashion and punishing him when he behaves in a maladaptive fashion. By contrast, the "kids do well if they can" philosophy carries the assumption that if a kid could do well he would do well. Doing well is always preferable to not doing well, but only if a kid has the skills to do well in the first place. ... When is challenging behavior most likely to occur? When the demands being placed on a kid exceed his capacity to respond adaptively. ... My experience is that parents of well-behaved kids get too much credit for the fact that their children are well-behaved, and that parents of challenging kids get far too much blame for the fact that their children are not well-behaved. Blaming parents doesn't help anyone at school deal effectively with the kid in the six hours a day, five days a week, nine months of the year that he's there. I really like Greene's approach, but I'm not sure how to help Younger Daughter's school implement his ideas on a day-to-day level. 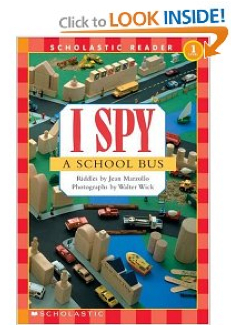 I recommended the book to the principal, but that's as far as I've gotten. 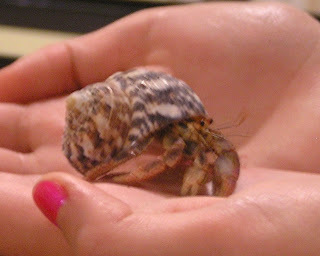 So the big noise around here is that I sent away for some furnishings for the crabitat, including some very lovely natural shells. 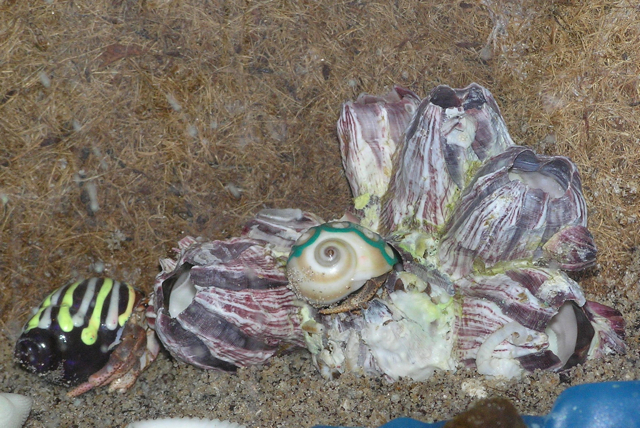 Within an hour of my putting the new shells into the tank, the larger crab had moved into one! She shows excellent taste, I feel. How Do I Get Talked Into These Things? On a recent trip to the beach, the kids talked me into buying hermit crabs. They come in their own nifty little cages, which on research are revealed to be exactly the wrong environment for raising hermit crabs, so we had to immediately run out and buy a new tank and fixin's.